Typically when we think about gardening and adding new plants we think Spring but Fall is an optimal time to plant as well (shameless plug coming). Cape Conservation Corps will be hosting our 2nd Annual Fall Native Plant Sale and Festival September 22nd at the field behind the clubhouse. We will have many types of plants such as ferns, groundcovers, shrubs, and herbaceous plants, many for fall blooms and foliage. Fall is an ideal time to plant as it gives a whole season to establish their roots without the stress of heat and drought and the worry of holding onto their leaves and flowers. They are able to concentrate on growing stronger through underground growth. It is important to have something blooming in all seasons starting with spring for early pollinators. A few good examples of plants to plant in the fall for early blooming would be Baptisia sp ., False Indigo, Zizia aurea- golden Alexander, Geranium maculatum- wild geranium and one of my early favorite (and the hummingb irds) is Aquilegia Canadensis- Eastern Red Columbine. Baptisia Australis is a beautiful almost shrub like plant with spikes of purple blooms, golden Alexander makes a wonderful green mulch with its evergreen foliage, and the wild geraniums are a breathe of freshness in the early spring. ummer months our gardens are lighting up with colorful blooms filled with pollinators. Plant some Echinacea coneflowers this fall to entice many species of butterflies, native bees and colorful flies. Phlox Paniculata– Tall Garden Phlox will add a beautiful pop of color in the summer as well as attract butterflies. I talk about the monarch butterflies quite often and their requirement for milkweed as the host plant for their eggs, fall is a great time to add one (or all!) 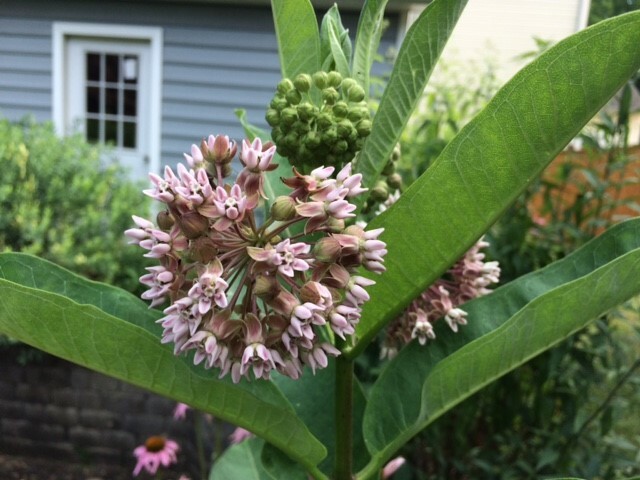 of the three varieties of native milkweed, Asclepias tuberosa, syriaca and incarnata–Butterfly Weed, Common Milkweed and Swamp Milkweed. When I think of fall flowers I always think of yellow of Solidago Goldenrod and purple Asters blooming together. Pick some of each of these pollinator plants and the monarchs will be able to fuel up for their long migration. There are also many native grasses that put on fall color show. Consider Panicum– switchgrass, Sorghastrum nutans– Indiangrass, and Schizachyrium scoparium– Little Bluestem for an explosion of autumn color. If you leave the leaves and stems standing throughout the winter (that’s right save yourself the chore of cutting the grasses, and perennials) you will be rewarded with a garden full of Winter Interest, and you will be providing habitat for overwintering insects, and food sources for songbirds as they pick through the leaf litter and stalks. Here are a few plants to consider for fall division and transplanting: Iris, Sedges, Wild Ginger, Spiderwort, Alumroot, Purple Coneflower, Wild Bergamot, Coreopsis, False Goatsbeard, Woodland Stonecrop, Pussytoes, Mountain Mint, Solomon ’s seal, Golden Ragwort, Mistflower, Black-Eyed Susan, and Phlox. Not all plants can be divided; there are many plants that have a large or deep taproot. The bigger and older they are the more the taproot is firmly entrenched, the less likely you will be successful. 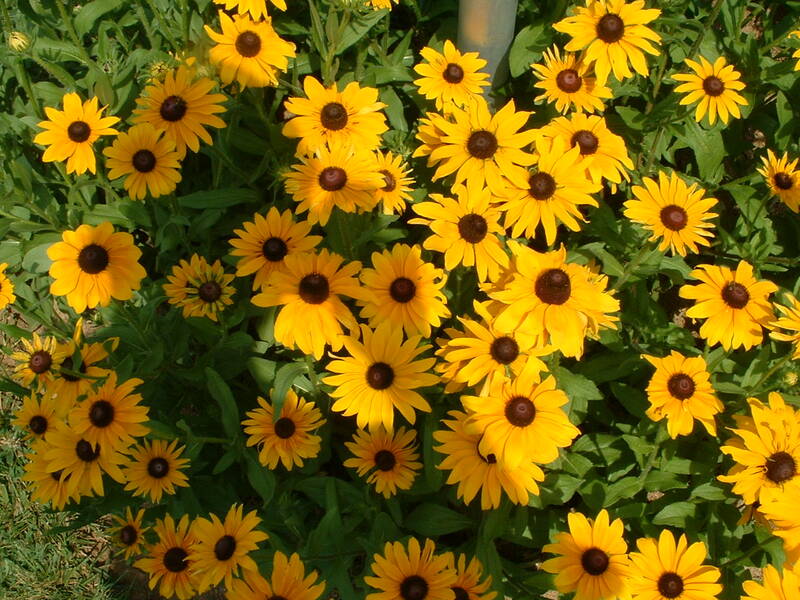 Some plants that you should leave alone when dividing are milkweeds, coneflowers, compass plant and wild indigo. As always, I recommend leaving your leaves lay as natural mulch and foraging material for birds and overwintering insects as well as leaving the stalks and stems stand into late spring- again for overwintering insects as well as winter interest. If we re-think pretty and garden compassionately we can save ourselves many fall chores that are unnecessary and not good for the ecosystem. Happy Fall Gardening! See you at the Cape Conservations Corps’ 2nd Annual Fall Native Plant Sale & Festival. September 22nd 9am-12pm.